The Namibian Arab Horse Breeders Society is pleased to announce they have awarded their 2018 WAHO Trophy for an unprecedented third year running to the gelding Gülilah Nahgalit, as he was also the deserving winner in 2016 & 2017. For information about his earlier career, please see his citations from 2016 & 2017. 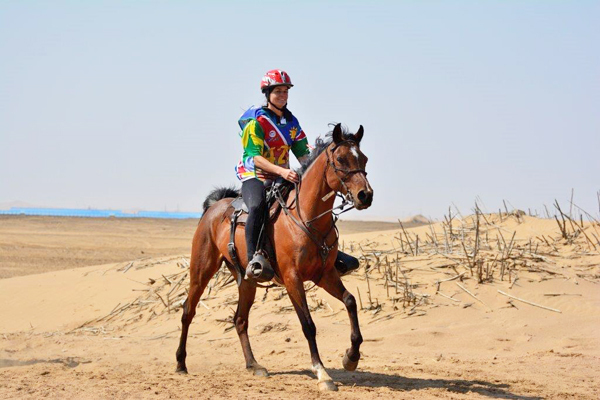 Nahgalit is an outstanding endurance horse.. He came second in the Africa Endurance Championships at Walvis Bay, taking the Best Conditioned horse award and Best of the Best out of all the best condition categories. This was the 3rd time in a row that he achieved a top 3 placing at Walvis Bay. 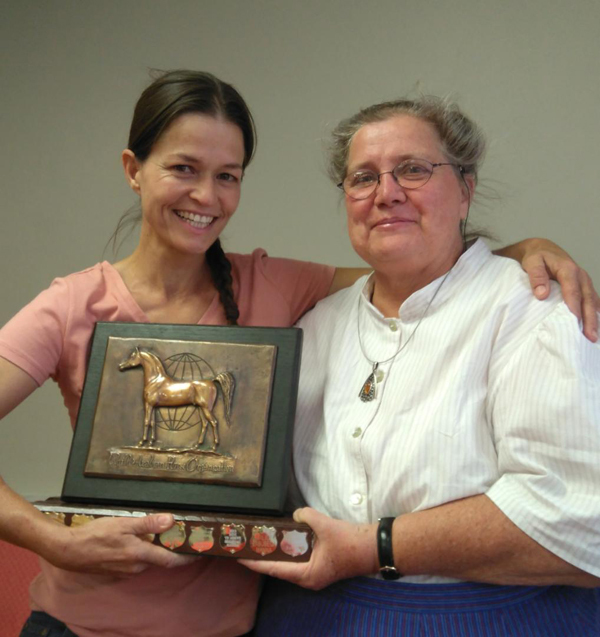 L-R:- Mrs Reni van der Merwe, owner of Nahgalit and Mrs Gisela Uijs, breeder of Naghalit.